In my last blog, we have seen about the development process comparing four tools. 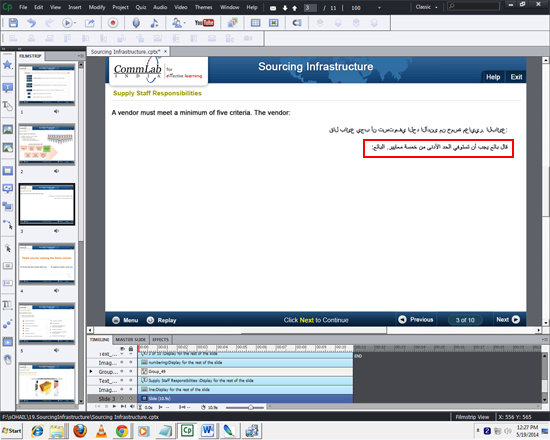 In this blog, we will learn about how Captivate supports right to left Arabic language. 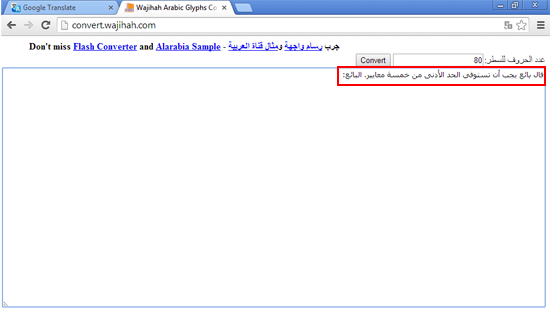 I am going to show how Captivate supports right to left Arabic language. You can follow the same process with other tools as well. Here you need to follow just two steps. Copy the translation template content to the browser. Copy the browser content to the course. Why we should copy the content to the browser rather to the slide in the course? If we directly copy the content to the slide in the course. It will be pasted as shown below, which is wrong. Here is the example screen shot of content copied directly to the course. 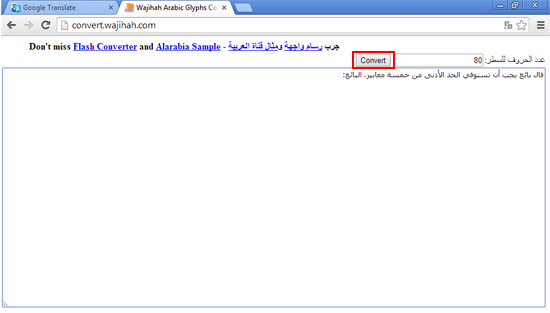 To translate the Arabic text from left to right, click on the Convert button. You can see that the text is converted in the browser. Select and copy the content from the browser and paste it in the course. This is the easy way to translate right to left translation courses in Captivate 7. In my next blog, I will be talking about how to sync the audio of other languages and about the process of course review and approval by a client.